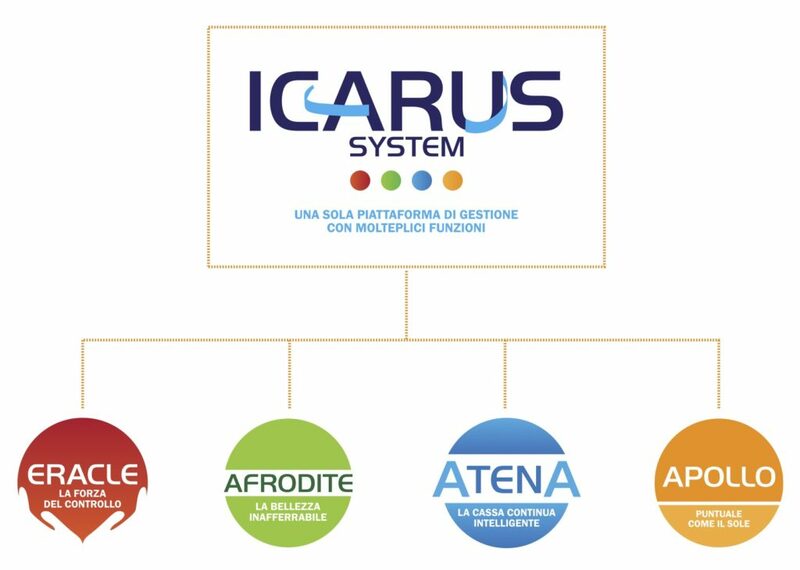 THE ICARUS SYSTEM is the most advanced access control system in Cemit’s range of products, thanks to our experience gained in the security industry over the years. Its extreme adaptability allows to meet the diverse needs of jewellers, stores, shopping malls, companies, security service organisations, counting rooms and cash/valuables- in-transit. 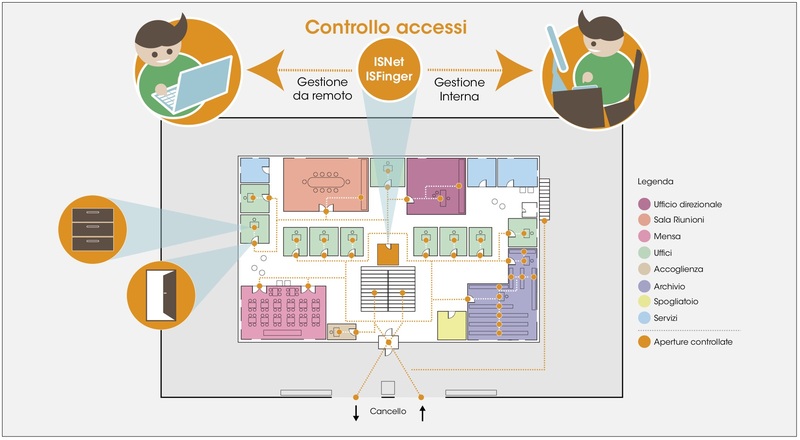 The platform, highly expandable and adaptable to any type of user, consists essentially of the control unit, which oversees all functions of the system, and the PC side control software that communicates with the control unit via TCP/IP allowing total remote management over LAN/WAN/VPN. The system works without the use of a PC, which is only necessary for programming through our software. This is the area that effectively manages the protection of access points. 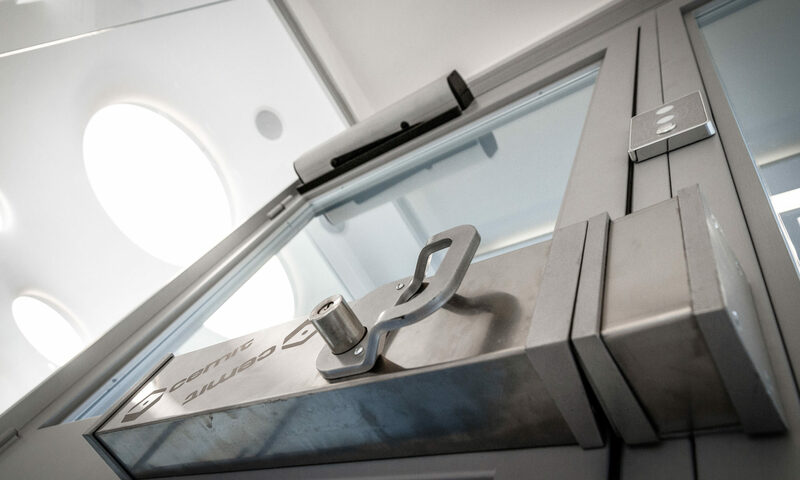 Unauthorised access can be inhibited by a smart approach, monitoring and targeting operators and promptly reporting any anomalies; or even physically with high-tech seal-tight locks. These two complementary systems maximise the results to be achieved. We can simplify it with an innovative anti-theft system. The opening of showcases and drawers in the shop is thus regulated by electronic keys and security locks monitor access, usage times and the individual interacting with them. This allows for the prevention of unauthorised acquisition of information and theft without the administrator’s knowledge. This includes a number of services dedicated to large retail organisations such as cash flow within a facility, security of individual locations, and withdrawal by cash/valuables-in-transit bodies. All of these phases are completely managed by the platform, through which it is possible to trace actions back to the person responsible and to the time and place an event occurred. A streamlined implementation of sensitive tasks that does not sacrifice robustness thanks to its incredibly resilient and burglar-proof installations. With Apollo we focus on Cemit’s service which compares with the great industrial organisations and aims to create a system for the simplified coordination of resources. This also includes liaison with both internal and external surveillance organisations such as supervisory agencies or law enforcement agencies.